Select idioms starting with R from the list below to see their meanings. View examples of the idioms in movies and TV shows. 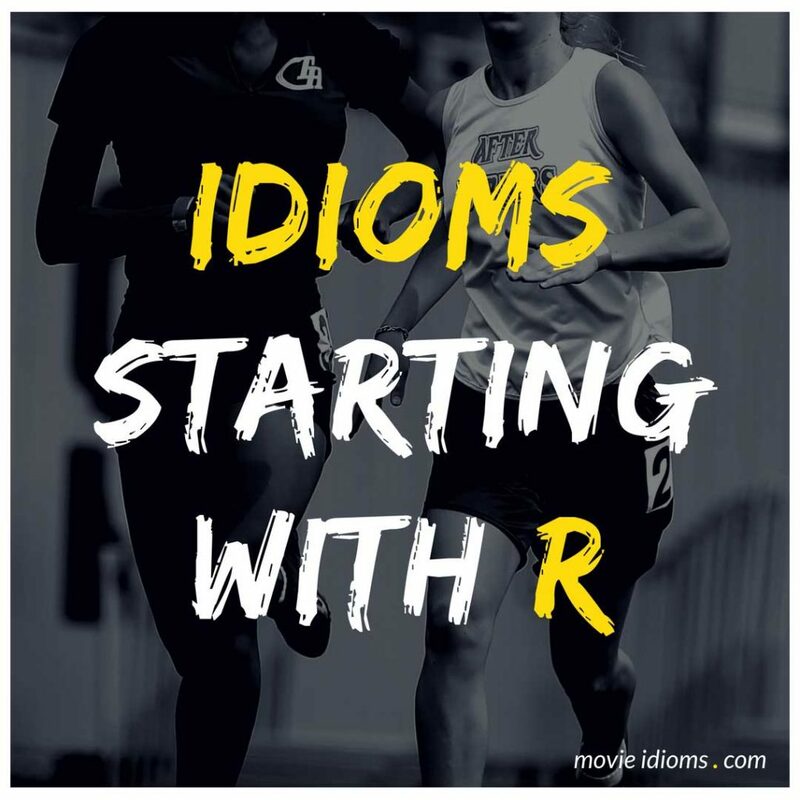 Do you know another R idiom with an example from a movie or TV show? We could add it to the list of idioms in the next update. Click here to submit idioms. We lay down some fire to get a head start. You stay here. I hop down and draw them away. That gives you the chance to get up the bleachers and out a window. You know something? You’re a real pain in the neck! The jock can be smart, the ugly duckling beautiful, and the class wuss doesn’t have to live in terror. The new girl, well, the new girl she can just fit right in with anybody.